We have had no internet for over 10 days, which I find frustrating and liberating at the same time! Lots of scrapbooking, but I have so much to catch up with that I don't think I'll ever manage to upload everything. 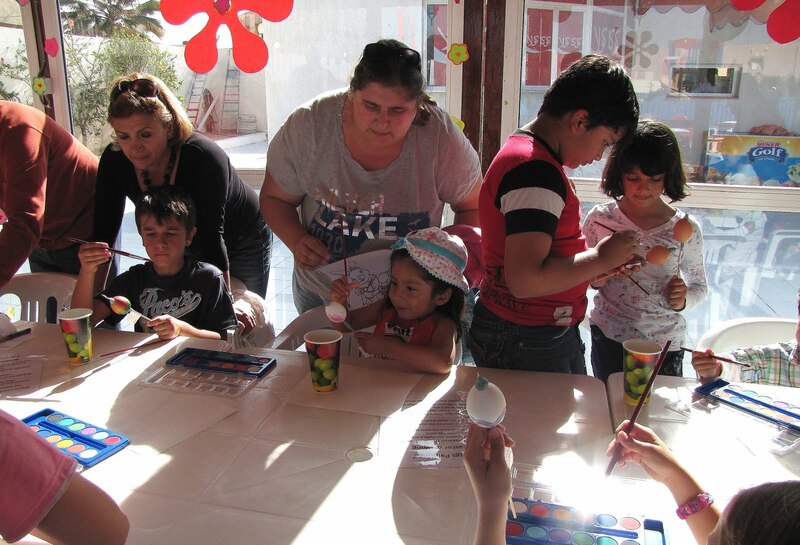 First things first, here is April's photo for Aleida's challenge, taken at an Easter-egg-painting event last Saturday.